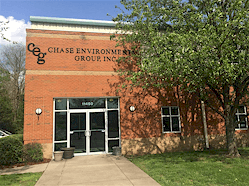 Chase Environmental Group (Chase) was contracted by CH2M Hill Constructors, Inc. under the Navy Southern Division Contract N62467-98-D-0995 to provide removal of contaminated soil and groundwater from various SWMU’s. Soil and contaminated media removal of approximately 6900 tons, 18,000 gallons of water and 350 ton non-hazardous concrete slab. The project required excavation within and under existing buildings and excavation around existing structures. Work included removal and replacement of existing structures, construction of new overhead pipe tower, installation of piers for support of a wall footer, removal of 10 inch concrete slab and temporary and permanent relocation of utilizes. Additional work included removal and reinstallation of machines and equipment, backfilling and replacement of concrete slab. Other work included collection of environmental samples for soil and groundwater samples using Geoprobe R direct push equipment and injection of Hydrogen releasing compounds for enhanced degradation of TCE in groundwater. Upon completion CADD drawings of excavation areas were provided. 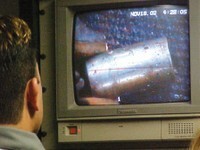 Waste characterization and disposal was provided for a soil, contaminated media, groundwater and concrete slab. This project required a short completion schedule of 60 calendar days and was completed on schedule and under budget. Waste generated during the project included approximately 1700 tons of hazardous waste solids, 22,000 gallons hazardous waste liquids and 152 tons non-hazardous solids. Change Orders included foundation shoring to excavate under building foundation, additional water disposal and cleaning of two pits. Chemical: F001, F002, Special Waste.